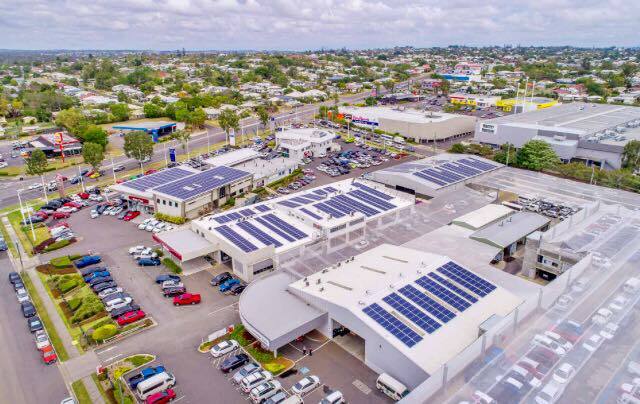 Llewellyn Motors in Ipswich have installed a 1232-panel, 332-kilowatt solar system on the roof of their car dealership, creating Australia’s largest privately-owned solar power station. 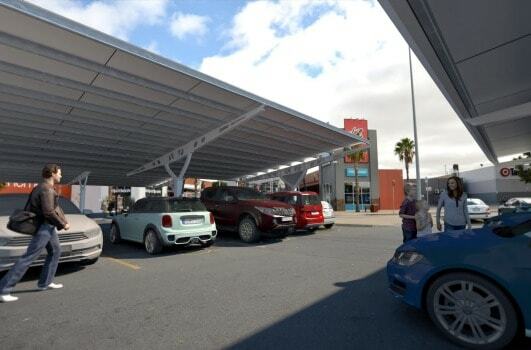 The Ipswich car dealership worked in conjunction with Planet Ark Power to install the solar system, and according to Llewellyn’s general manager James Sturgess it has already saved the company approximately $7,000 in power costs since it was turned on in October. “Basically this takes care of half our energy needs,” Mr Sturgess told QT. They are still in negotiations with Energex and the State Government with regards to feeding power back into the grid. In either case, the Llewellyn Motors solar set up is unique in that includes a special type of battery storage which uses data projections and previous information to decide when it should switch on and off. This battery will help reduce peaks in consumption and cut their solar bill further. “This system is going to save them thousands of dollars a month,” Mr Romanowski said. 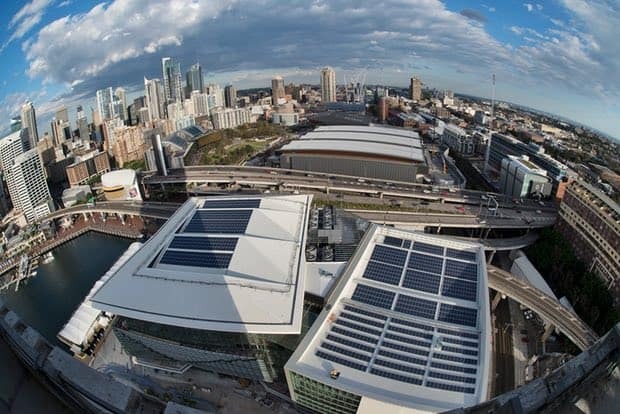 This is another example of commercial solar continuing to gain ground in Australia – last week we reported on Stockland shopping centres rolling out 12.3MW of solar across 10 of their venues. 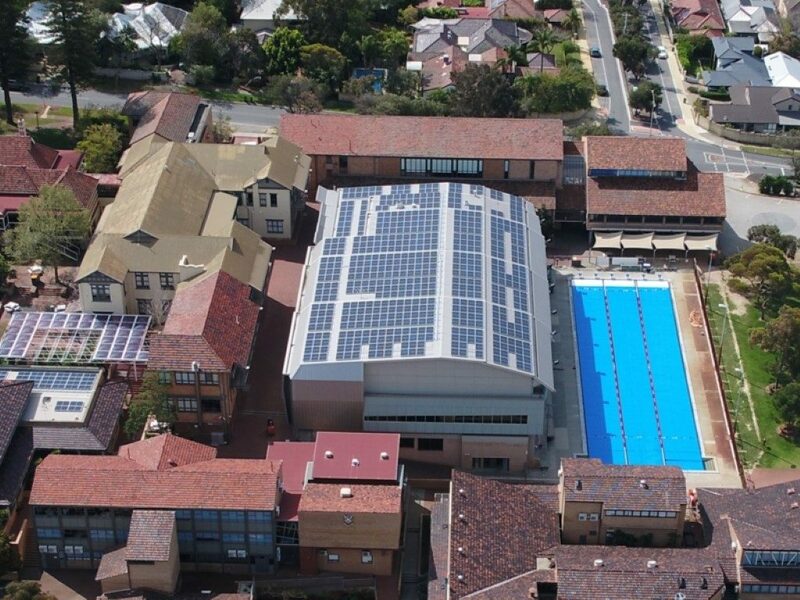 We’ve also seen Aldi installing solar systems at their distribution centres, Office supply company Complete Office Supplies’ private solar investment in June this year was a massive $1m in rooftop PV solar at their Sydney, Brisbane, and Melbourne warehouse locations. No doubt there’s plenty more to come.